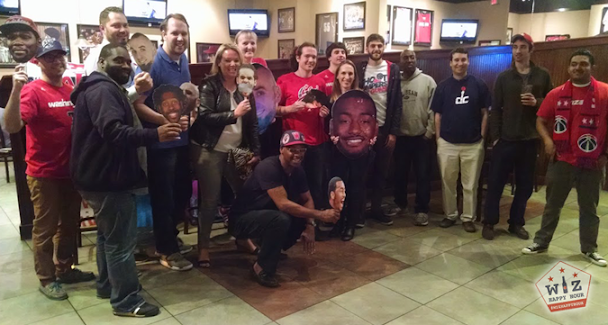 We just had an amazing Wizards (and Caps) game watching event at the Greene Turtle in Arlington. 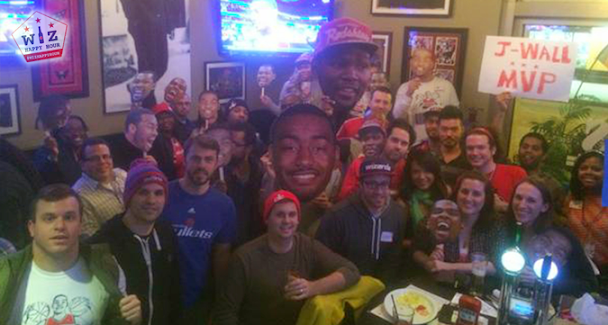 It was possibly the only bar in the entire DC Metro area that was playing the Wizards game audio and we had over 20 Wizards fans show up to cheer on the Wiz. At one point we looked at the surrounding tables and saw tons of people in groups who were ordering waters and spending no money. Meanwhile our monster quadruple table of Wizards fans was packed with food and the beers literally were flowing from 6pm-11pm. So why did this great event for both fans and the establishment almost not even happen? It all started on Sunday night. The Washington Capitals couldn't take care of the Rangers and a game 7 was now set to take place. And what do you know, it would be in direct conflict with the Washington Wizards game 5! What a dream come true! Oh wait, no, this was awful. NOTE: While we understand that game 7 may be a more important game than a game 5 in a tied series, we also understand that hockey is a niche sport and there are tons of people who love the Wizards and could care less about hockey. That is where this group comes in. To help Wizards fans first and DC Sports fans second (we will always have Wizards audio, but will also always have TVs with Nats/Caps/Skins). Living in the DC Metro area there seem to be somewhere around one billion different bars and restaurants. Some of these bars have a lot of Caps fans that attend. Some of these bars barely have anyone in them on a Wednesday night. 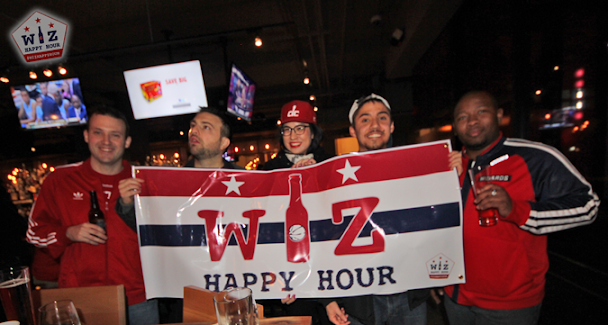 But either way, Caps crews or empty bars, at first glance it appeared none of them cared to welcome in Wizards fans. 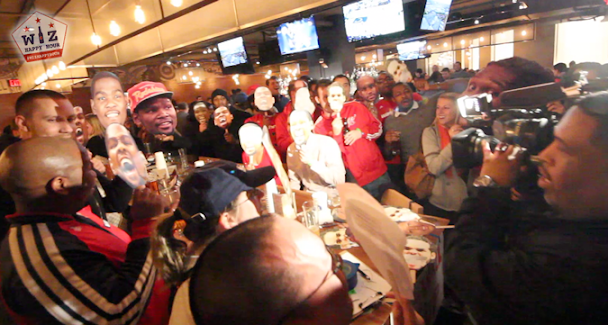 The last time the Caps & Wiz conflicted we had another huge turnout at another Greene Turtle (DC) with Wizards audio. By bringing in 20+ Wiz fans we made what would have been a really slow night (4 Caps fans were there to watch the game) a blip in the average Tuesday night. By Monday night I started to panic. I had emailed somewhere around 50 different bars and restaurants from VA to DC and the few that responded back all said they were going with the Caps. Even the places with 2 different floors (2 different audio sections) that tell me in email they are "Wizards fans" and "Wizards friendly" said they were going with the Caps on BOTH FLOORS. Oh, and by the way. One place that has nothing but sports on their website said that they were going with...TRIVIA. No Caps audio. No Wizards audio. TRIVIA!!!!!!!! After I had all but given up hope we finally got some good news. There ARE Wizards friendly bars out there. Johnny Pistolas in Adams Morgan, Buffalo Billiards and every Greene Turtle in the area was willing to host the event. We knew it! And based on location we ended up locking in on the Greene Turtle in Arlington (had audio but actually stuck us in the family eating section, had I known that I would have gone somewhere else).